Harvesters’ mission is to feed hungry people. Our food bank envisions a time when everyone in our community has access to enough nutritious food to maintain a healthy lifestyle. 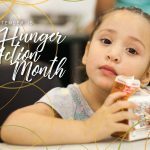 Feeding America recently released Hunger in America 2014, a national study documenting the role food banks and their member nonprofit agencies play in supporting low-income families in the United States. The study provides a detailed snapshot of the 141,500 people Harvesters feeds each month. Some of the study’s most interesting findings reinforce the close link between hunger or poor nutrition and health. The study shows 29 percent of households receiving food report having at least one person in poor health. Moreover, 37 percent of households include at least one person with diabetes, and in 62 percent of households at least one person has high blood pressure. Other research indicates obesity also is closely related to hunger. Low-income, food-insecure households are disproportionately affected by poor nutrition, overweight and obesity. 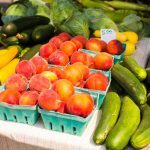 Former President and CEO of Truman Medical Centers John Bluford has said that poor nutrition is a factor in all four of the major chronic diseases the city’s safety net hospital treats — obesity, diabetes, hypertension and heart disease. Clients of Harvesters’ network agencies cope with food insecurity in a variety of ways, with 78 percent reporting they buy the cheapest food available regardless of its nutritional value. Households with limited incomes try to stretch their food budgets by purchasing cheap, energy-dense foods that are filling. They maximize their calories per dollar to fight off hunger. We know that Harvesters’ clients want and need healthy foods. In the study, 52 percent of clients listed fresh fruits and vegetables as the foods they most wanted that were not always available at pantries and kitchens. Harvesters works to provide the most nutritious food available. During fiscal year 2014, we distributed 10 million pounds of fresh produce. In addition, our nutrition education classes taught 22,260 children and adults about healthy eating. Ninety-five percent of participants told us the classes helped changed their behaviors related to nutrition and exercise. We are excited that our vision of a healthier community is shared by the new Healthy KC Commission. The commission is a partnership between the Greater Kansas City Chamber of Commerce, Blue Cross Blue Shield of Kansas City and other health leaders, including the Health Forward Foundation. Harvesters believes that feeding hungry children, families and seniors is key to the health and economic vitality of our community. We look forward to partnering with the commission to engage more people in our common vision. Working together is the only way to solve hunger and build a healthier community.